National Margarita Day is trending on twitter this morning, as it should, since February 22 is National Margarita Day. There is a website for the event (CLICK HERE) but it seems to be getting more traffic today than it can handle. I have attempted to visit the site several times over the morning but only made it into the site once - I keep getting a 503 Service Temporarily Unavailable. It seems like a lot of trouble to make a website that people only visit once a year but it is for a very festive reason so I am glad its there. Margaritas can be a dangerous drink. They are super refreshing in the summer but can also be super potent as the lime and the tequila in the drink seem to be perfectly matched with each other. It's delicious. When I was pregnant there was no drinking for me - but I still was craving that Lime flavor. 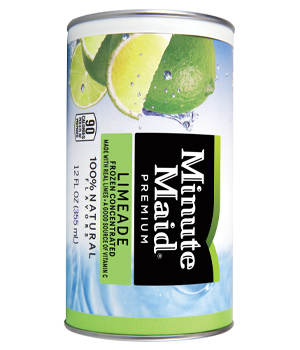 So I used to take a can of Minute Maid Limeade concentrate and blend that up with ice leaving out the tequila to make a fake-o margarita. Just with the MM Limeade and ice chips alone it is a delicious, satisfying drink. * Drink Responsibly - never drink and drive or text and drive.